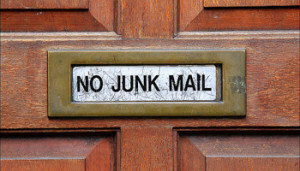 Junk mail is everywhere. I actually call it junk marketing. It really has nothing to do with the product being bad. Most people don’t know the difference between their bottom and a bullet hole when it comes to marketing. 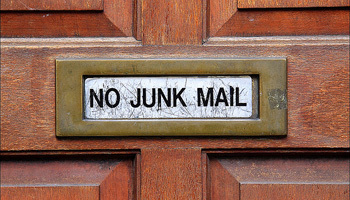 Here are some things you can learn from junk mail and what NOT to do. correct name of the recipient.